Here is an interesting article, not intended to point fingers at ANYONE! I just think that when we know better, we do better. In that light, read through to the " What TO say" section. Office Max has a coupon for $10 off any purchase of $30 at Office Max. This coupon is valid through Saturday, January 22, 2011. Coupons.com has fantastic printable coupons right now! I will want to get my printer back up and running online! New Organic Coupons at MamboSprouts.com : One of the best sources of printable organic coupons, Mambo Sprouts has just added or reset a bunch of new coupons. Coupons include $0.75/1 Santa Cruz, $1/1 Arrowhead Mills, $1/1 Udi’s Gluten Free Muffins or Cinnamon Rolls, $3/1 Country Life Supplements, $0.55/1 San-J soy sauce and many more. Heading out to the mall this weekend? Stop by Bath and Body Works to pick up your free sample of Carried Away Body Lotion with this coupon. 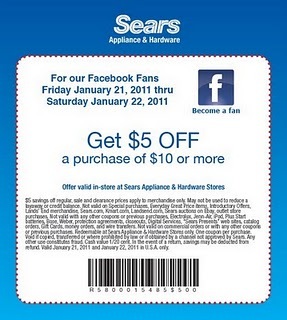 "Like" Sears on Facebook and you'll be able to print a high value $5 off $10 purchase coupon! Go HERE to get a FREE Beech-Nut Stage 4 toddler kit! DailySteals.com has an awesome deal going on today for Nintendo Wii 7 In 1 Grand Slam Sports Pack, Baseball Bat, Tennis Racket, Golf Club, Steering Wheel, Gun, Wrist Strap, Detachable Base Handle for ONLY $6.99 Shipped!! Retails for $69.99. If you have a Wegmans grocery store near you then you'll want to print this $1 off ANY produce coupon!!! Valid until 2/5! If you are a Boden or Mini Boden fan, check out the Boden Clearance Sale at the Valley Forge Convention Center in King of Prussia, PA on Saturday, January 29 from 10am to 4pm. Just a reminder that No More Rack is still offering $10 off a $20 purchase. The best deals sell out in minutes so you have to be ready to go at 9am PST or noon EST to get the best deals. I started to add things to my cart before I decide, then remove them once I have a chance to think....I got tired of them selling out while mulling it over. Last week I got Kevin men's Italian leather dress shoes for $15 (reg $99), put several sizes and styles in my cart, then called him. NoMoreRack is offering New Members $10 credit good towards purchases of $20 or more on their site. They have some of the best deals I have ever seen, and shipping is always just $2 per item. New deals start each day at noon.To add your $10 to the account, first register, then go to “My Profile” then click on “Redeem Gift Card” and enter P1070 . ■What you want to do is register for No More Rack and make certain you jot down the the four digit code they will have on your registration page. Right now it is P1070. If you forget to write it down, you might cheat yourself out of the $10. ■Then once you finish registering, just head over to My Account. ■Click on redeem gift card. ■Enter the code you received on the sign up page. ■You should have $10 credited in your account. Hurry to Coupons.com and request your FREE Jello Jigglers Football Mold! Sort by "household" to find it quickly. Hurry, the offer is 'while supplies last'. There is also a new $.55/3 Jello Gelatin or Pudding coupon. This could make a good deal if your store doubles. GO HERE to request your FREE Maggi Soup sample! Your sample will arrive in 6-8 weeks! Barnes and Noble is offering a great deal on a 1-Year Parents Magazine subscription today for just $1! This is a great deal especially since Parents Magazine is known for coupons for Amazon, Gymboree and other products! Keep your eye out for the February issue of BabyTalk magazine. There is an Amazon.com $10 coupon code in it good towards baby items! This s a FREE magazine and is available in many doctors offices. You might also find these at Babies R Us in the registry area for free. Remember each coupon is single use only. Get a FREE Subscription HERE. CLICK HERE to get a FREE 1 year Subscription to Bridal Guide Magazine! 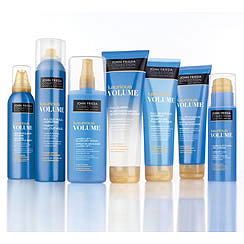 John Frieda is offering a FREE sample of your choice of FIVE hair care products. Take your pick! Hurry, this one is while supplies last. GO HERE to sign up! On Thursday, February 3rd, Barnes and Noble in Montgomeryville will host a special needs awareness event. There will be a story hour at 6:30pm. From 7-8pm that evening, there will be Games along with Poetry Worksheets for older children. You can contact Lisa Vogel at the Montgomeryville Barnes and Noble with questions at 215-699-3099. If you mention North Penn Parents Special Education Council with any purchases that day, a portion of the sale will go to that organization. Restaurant.com has just re-stocked their certificates so now is a great time to buy. 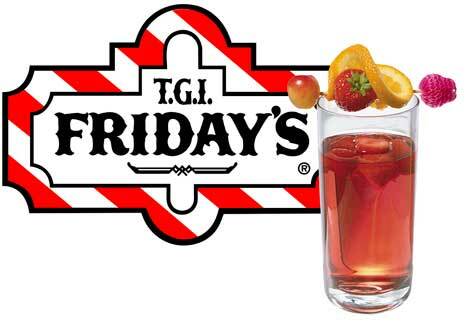 Not all restaurants participate, but there is a good selection to choose from. Just be sure to read the fine print. Click on the ad to access! Did you note the Tanga Magazine deal on my margin today?? You can get ESPN magazine for $2.99 today for one year courtesy of Tanga. There are 26 issues per year so it works out to .11 per issue! Just head over to Tanga and add it to your cart at $26.00. Then use code: ESPN at checkout. Your price should drop to $2.99. Tanga tends to raise the price by $1 or so as the day progresses so I would suggest ordering early if you are interested. Rite Aid has TGIF snacks on sale for $0.97 this week and they are printing $1 +UP Rewards (Monthly food + UP), making them FREE!! There is no limit, apparently! You can get FREE Hormel Chili. This week it is on sale 4/$5, and it produces 5 $1 +UP Rewards!! 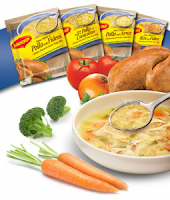 There are $1.50/3 coupons in the February Issue of All You Magazine, or $0.55/2 coupons Plus you can stack the manufacturer’s coupons with the $0.50/1 January Hormel Ad Perk Coupon to then make it a up to a $2 moneymaker! If you are planning a trip to Build-a-Bear by Valentine's Day, 2/14/11, be sure to print this coupon and take it with you. Save $5 on your Build-a-Bear purchase of $25 or more. Print the coupon and use it on the items that are free after rewards this week to lower your out-of-pocket! The little magic red machine is spitting out $3.00/2 Listerine or Reach Toothbrushes or Floss Coupons. Head over to Minute Maid Facebook page to get a Buy One, Get One Free Minute Maid Coupon. WOW! Children's Place Huge discount! The Children's Place is having a monster sale today! Save up to 60% off, plus get FREE shipping today only with code FSJANUARY2011. Save an additional 20% with code P7C2011. Here is yet another FREE Blockbuster Express rental code: 14CHD2X valid for a FREE One Night Rental. Valid until 1/20! There is a limit of 1 per person. Valid in store only. If you are unfamiliar with Staples Rewards, you can get more information here. VeraBradley.com is offering atleast 50% off on three of it’s most popular styles. The Villager is $39 down from $72, the Angle Tote is $39, down from $68 and the pleated tote is $39. The sale is good until Monday January, 17th only. 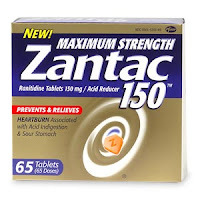 There is a high value Zantac Coupon....find it HERE. 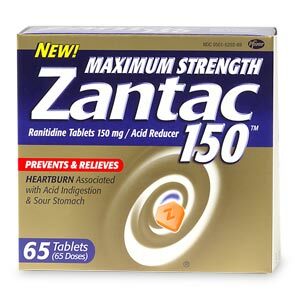 This should make FREE or very cheap Zantac at Walmart and other stores. Final Price: $.49 each wyb 2! If you are a BJ's Wholesale shopper, or have one nearby, be sure to print out these coupons! The coupons are valid through 1/28/11. One per person.